As much as I love jewelry, I try not to buy it often because I know I won’t always get enough wear out of it to justify the price. So instead, I stick to cheap costume jewelry and re-wearing the pieces I do own until I’m sick of them. 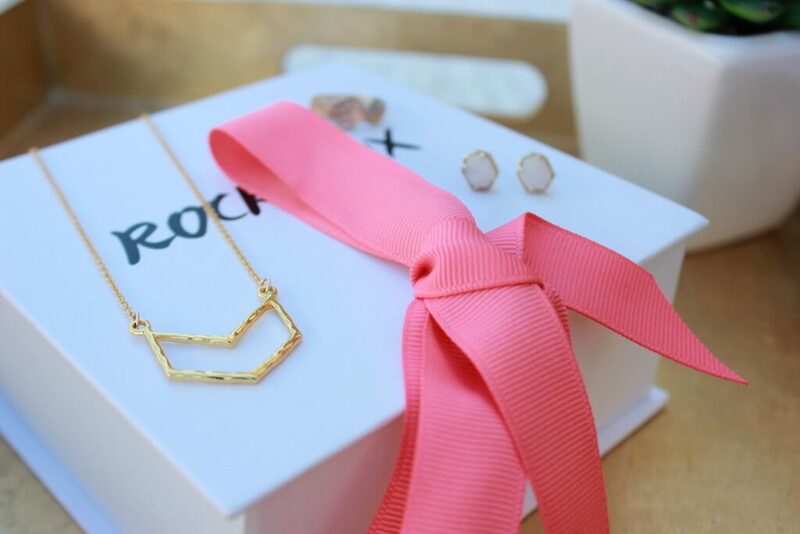 Enter, Rocksbox – a jewelry subscription box service. Think of it as Netflix for jewels. You pay a monthly fee of $19 to get access to designer jewelry which you can wear on loan as much as you want. I you decide you want to keep any of the items in your Rocksbox, you can purchase it for a discounted price and return any items you’re ready to pass on. 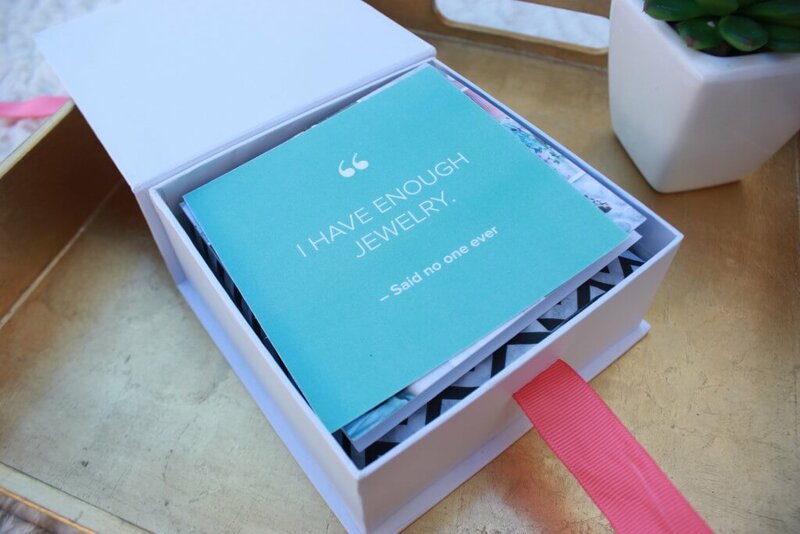 Then, boom, another box of curated jewelry based on your style profile and wish list appear. 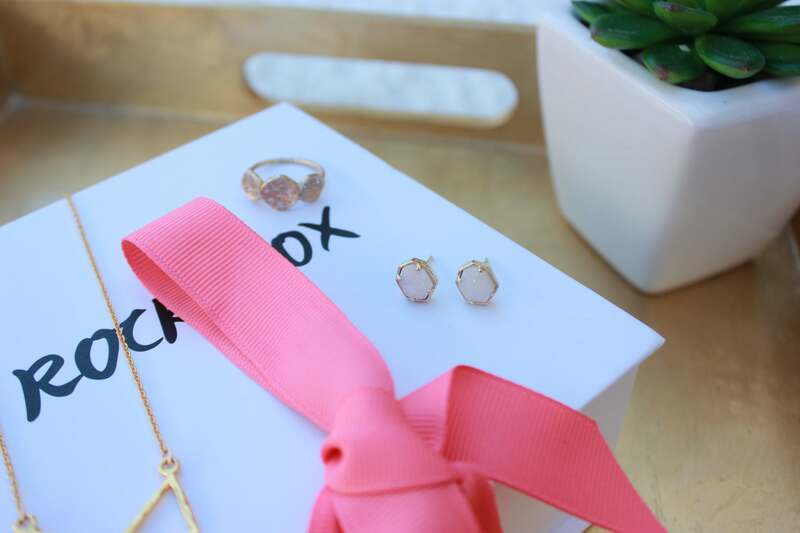 And if that’s not enough, you get a $10 monthly credit to use towards purchasing any of the jewelry you just can’t part with, $25 credit for every friend you refer and shipping both ways is prepaid. Triple win. 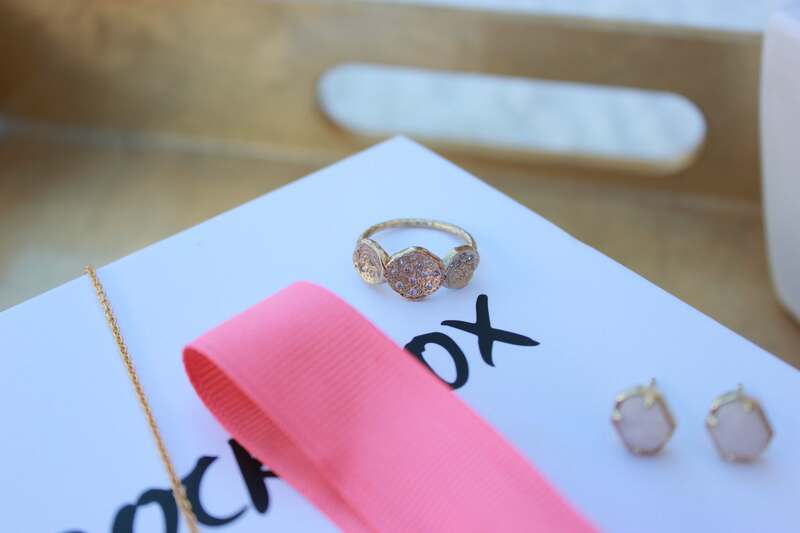 When the Rocksbox team reached out to see if I would like to try the service for three months, I was skeptical. I thought I would get cheap, visibly worn pieces that I wouldn’t want to wear. Granted I’ve only received one box so far, but I’ve been wrong on all accounts. 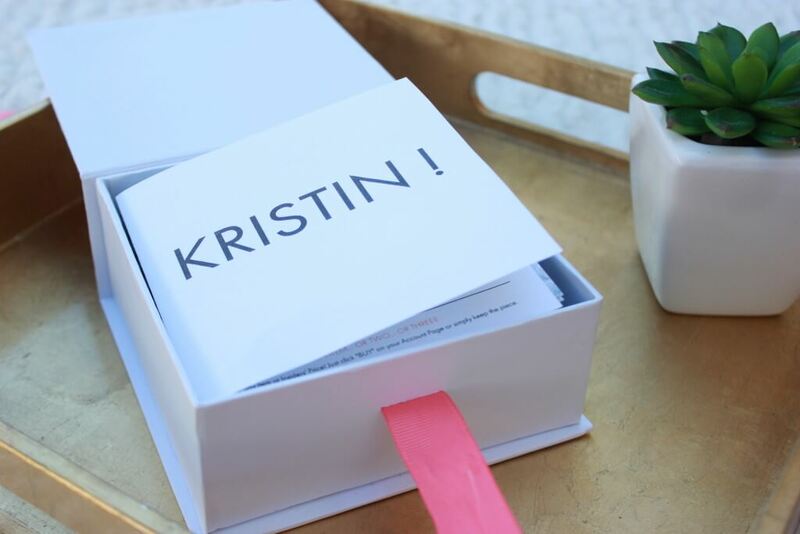 In my first box I received a Gorjana necklace, Kendra Scott earrings and Melinda Maria ring. That’s over $200 worth of jewelry I got to wear and play with. Plus, all the pieces work well together so I can wear them all at once or individually. The stylists did an amazing job picking out my pieces. While I love all three pieces, I’m trying to declutter my belongings right now, so I think I’ll return them all and see what’s in my second box. 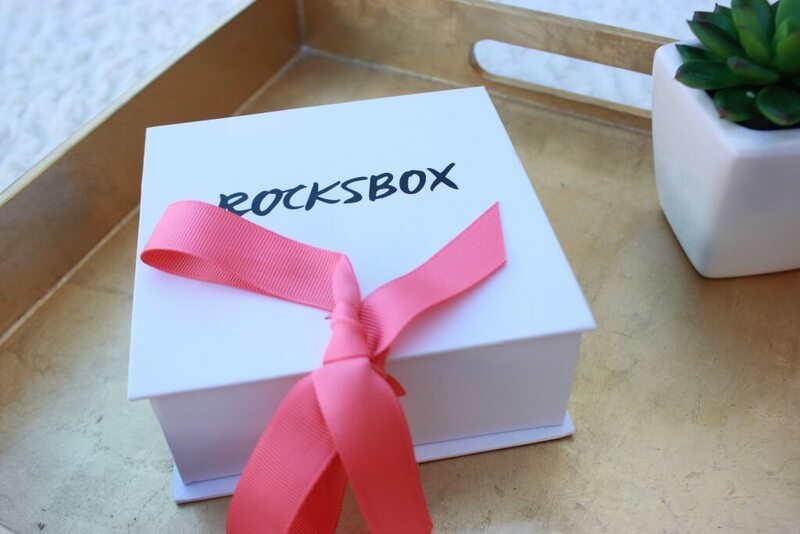 I’m happy to announce that the Rocksbox team generously allowed me to share the love with you as well. Enter code itskristinxoxo at checkout to get one month free. Hooray for jewelry and free things! Tell me: would you try the Rocksbox service? 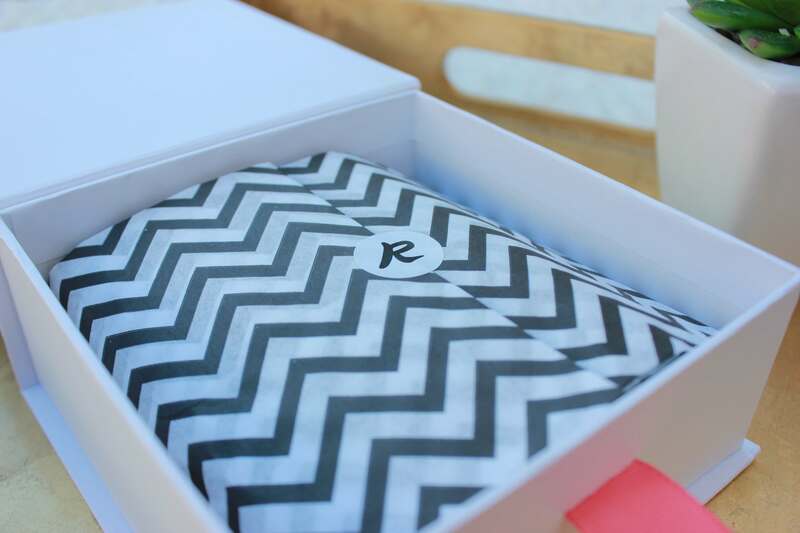 Rocksbox is such a great service! Especially if you want to switch up your accessories without breaking the bank. 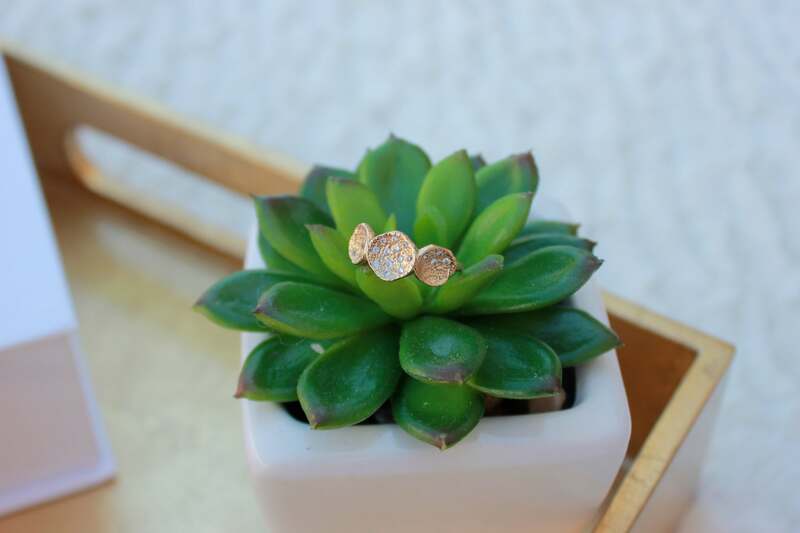 Obsessed with those Kendra Scott earrings! I got my second one not too long ago, such great pieces! I have enough jewelry of all types to open my own store, and I don’t have any problems finding great places so shop for jewelry so a jewelry subbie box isn’t really for me. But it is always fun to get a subscription box of any kind in the mail. I tried Rocksbox for a month! I really liked the jewelry I got, but didn’t like the whole concept of having the send the jewelry back each month (unless you bought it). I think I prefer something more like Wantable, which is more of a traditional subscription service. I love that necklace you got! I completely understand, I was weary about the sending it back part too. We’ll see if my opinions change after a few months of having to chose between purchasing and sending back. These pieces are gorgeous! I like the idea of being able to return items you don’t like. They are so pretty and delicate I love them! I like that if you aren’t happy you can return and aren’t stuck with something! Exactly – makes it a less of a commitment. Only bummer is you don’t get your monthly fee back if you don’t like anything in your box. I was a bit nervous about the earrings at first, but everything seemed completely sterile and my ears haven’t fallen off yet 🙂 I’ll have to check if you can customize the types of items you get (i.e. please exclude earrings). The packaging of the box is so adorable! I really love the pieces you got as well, they are so delicate!